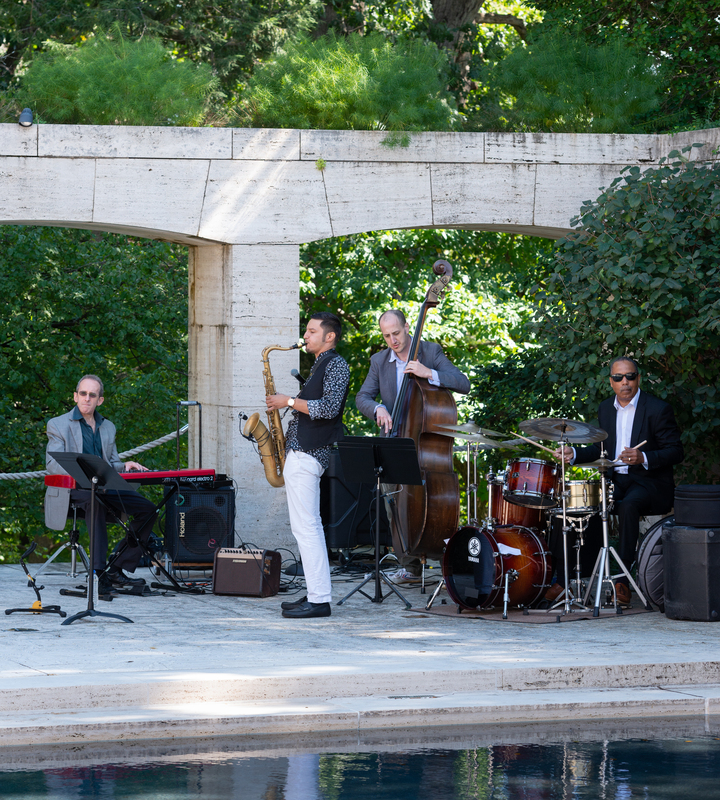 The Kreeger Museum is pleased to present the Elijah Jamal Balbed Quartet for Jazz in the ‘Hoods as part of the 2019 DC Jazz Festival. Jazz in the ‘Hoods Presented by Events DC, a major feature of the DC Jazz Festival, is an exciting partnership with local clubs, restaurants, hotels and galleries in celebration of jazz in our nation’s capital. Jazz in the 'Hoods unites DC in a citywide partnership and presenting a mix of local and nationally recognized artists. Admission is free. This event will take place outdoors, weather permitting. Picnic blankets are welcome. Please note that lawn chairs are not permitted in the Sculpture Garden or the Museum.